December 7, 2012 – Months of hard work by hundreds of RCCSvolunteers, culminated last night with a seven-hour fund-raising marathon, simulcast through teleconference and live streaming. The RCCS live auction performance, which has now become a much anticipated annual event, was all that it claimed it would be, and then some! Unprecedented amounts of people – including hundreds of patients and thousands of supporters from around the globe, tuned in via their radios, computers and telephones to participate in this momentous display of Kiddush Shem Shomayim. The evening, co-hosted by Yossi Zweig and Rabbi Yosef C. Golding, boasted a cornucopia of talent, an array of Rabbanim, Aaskanim, musical talent, comedy, inspiration and exhilaration. A panel of medical experts was on hand to discuss the trauma of a cancer diagnosis, the importance of early screening and detection as well as the consequences of second-hand smoke and the importance of quitting smoking in general. HaRav Yissocher Frand shlita, Rosh Yeshiva of Ner Yisroel in Baltimore and a staunch supporter of the holy work of RCCS, recorded a special 7 minute message for this evening’s program. Harav Frand discussed the importance of Bikur Cholim, the importance of Davening for Cholei Yisroel and how supporting RCCS is a fulfillment of Bikur Cholim, Chesed, Tzedaka, Shalom Bayis, Talmud Torah and of course Hatzolas Nefashos! Following Rav Frand, a group of over 20 Tinokos Shel Bais Rabban, led by RCCScommittee member Rav Moshe Klein, a noted mohel and sofer, recited Tehilim together, forming a powerful “Tefilah B’Tzibur” including all those listening to the program, which beseeched Avinu Shebashamayim to send a Refuah Shelaima to all the RCCS patients B’Soch Shaar Cholei Yisroel. Next, Rabbi Aaron Margalit, noted author of the best-selling book “As Long as I Live” and sought-after lecturer was interviewed by Rabbi Golding, Executive Director of RCCS. 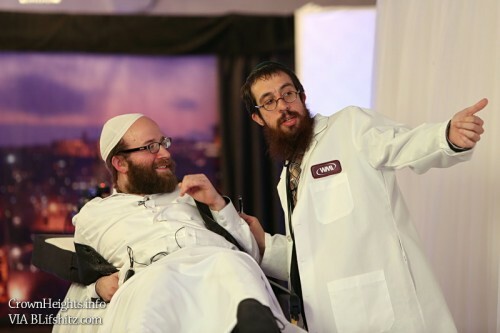 The chizuk that emanates from this individual, who has been through so much physical pain yet retains his Simchas Hachaim, is so palpable that it is impossible to hear him and not be moved to become a better and stronger person. Throughout the night, and into the wee hours of the morning (the program lasted for 7 and a half hours!) people continued to call in to purchase tickets. The split-the-pot raffle topped $300,000 by the time the raffle was drawn! 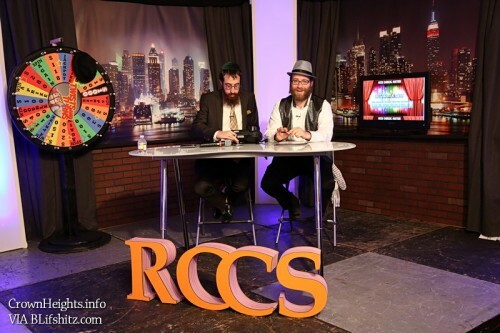 Comedians Mendy Pelin and Yoily Lebowitz, (with an assist by Mich Cohen) had the audience in stitches as they performed skits and otherwise were acting their usual hilarious selves, all to benefit RCCS patients! 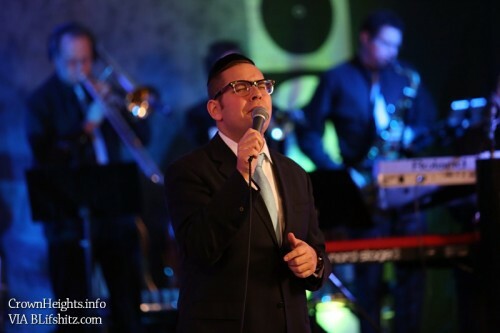 Jewish music stars such as Dovid Gabay, Benny Friedman, Eli Beer the Falkowitz brothers, and more, shone bright as they sang so beautifully and enthralled all who were tuned in. A music video, to the Yiddish song “Balichtun”, dedicated to the life-saving work of RCCS, was premiered by Yoely Greenfeld. 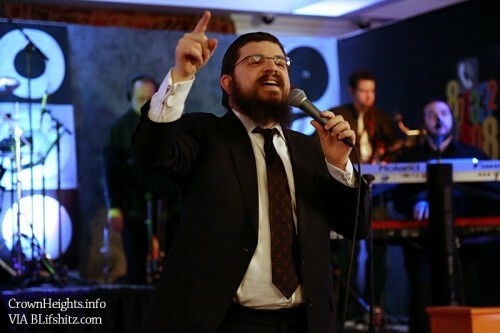 The Mezamrim choir, led by the one and only Chilu Posen, were on hand all night to provide beautiful choral accompaniment to the Freilach Band (and to sing the call-in phone number enough times to ensure nobody would – or could – forget it). The many winners of the prizes in the “Twists & Turns” Auction book were chosen, as well as many additional winners of randomly chosen callers throughout the night who were treated to a “spin of the wheel”. The evening was a “win-win” occasion for those in attendance, those who performed, those who tuned in, for the organization, but most of all for the patients! The hundreds of cancer patients and their families waiting for their chance to live a normal life again had their hopes restored last night. Yes, seeing the overwhelming support of Klal Yisroel of all shapes and stripes gives them hope like nothing else. Indeed, the Achdus that such an event, and such an organization facilitates, gives us all hope that Hashem Yisbarach will finally bring us the ultimate healing with the advent of Mashiach Tzidkeinu.